My name is Davy Fitzsimons and i was born and raised in Caledon. I have always as far back as i can remember had an interest in ww2. 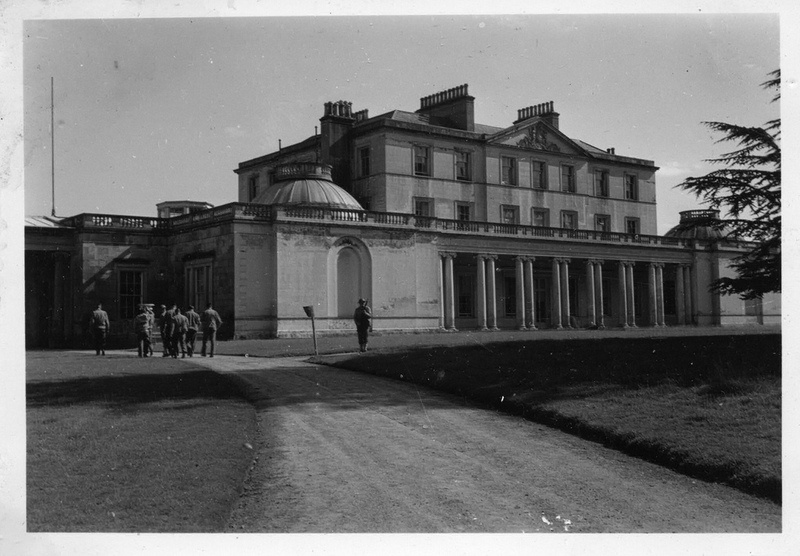 I started collecting photographs of the war about ten years ago and then decided to try and collect photographs of the Caledon area during ww2, it has not been easy but i would like to share the photographs i have collected so far and if anyone has any to add please get in touch and i will add them on to the site..In order of preference then: The british Army were here first then the U.S.Army and then the Free Belgian Army. I hope you enjoy the site please treat it as your own. Fitzy. The Officers of the 133rd Inf Regt, 34th Inf Div occupied Lord Caledons Castle,here they are going in to the castle 1942. 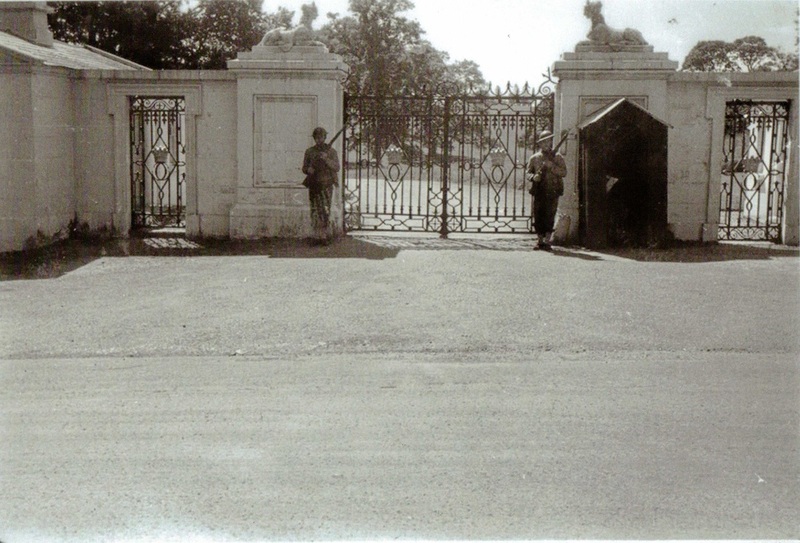 Soldiers of the 133rd Inf Regt doing guard duty at the front entrance to Lord Caledons Estate in 1942. Do not be confused by the British Army style Helmets they are wearing,they are the same only the U.S Army called it the M1917 as it dated back to 1917 when the U.S.Army entered the first World War. The helmet was soon replaced with the M1 Helmet the more rounded look and was issued to them soon after they arrived in Northern Ireland. 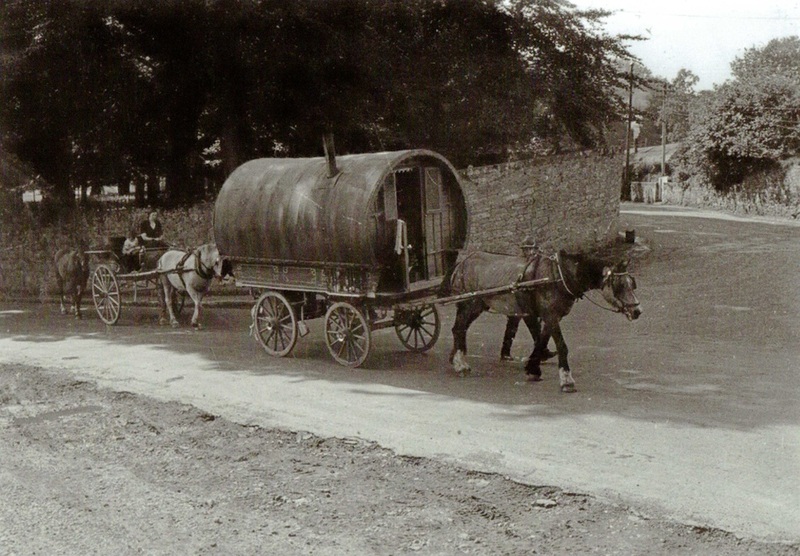 This is a lovely picture of the Travelers coming into Caledon,takes you back to another time. Take a look at the top right of the picture and you will see the Nissen hut with smoke coming out of the chimmney, the photograph was taken the same time as the pictures above,not a military picture but nice all the same. 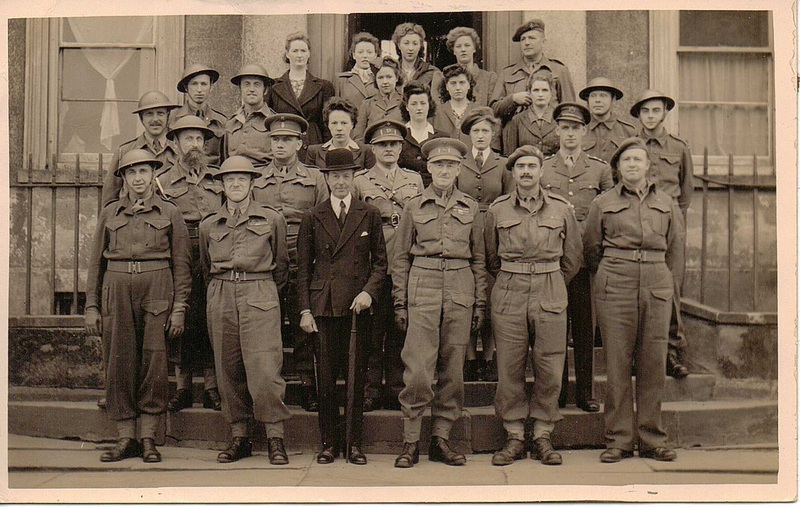 This is a nice group photograph of the 5th Belgian Brigade taken on the steps of Alexander House. There is is some special details I would like you to take note of when you enlarge the photograph, The Gentleman in civilian clothes is Lord Caledon and there is a mixture of some British Army Officers in there as well,please note the women at the back plus take note of the soldier to the left second row in with the Wiskers, maybe he is allowed to grow them as tradition in the Belgian Army i don't know. I always study photographs when i buy them as they are usually full of hidden detail,i bought this and a few others like it from Belgium itself so they have come home so to speak.